This Sebo vacuum cleaner is perfect for leaving floors spotless – both quickly and easily. It comes with a modern red finish, and is exclusive to Euronics and agent stores. This model is also bagged and hassle-free – so when it’s full, all you need to do is swap the bag with a new one. The 91503GB uses Sebo’s Ultra bags, which deliver optimum performance and hygienic, S-class filtration. Coming with an integrated hose and wand, the 91503GB can clean awkward crevices and under furniture. It is particularly good at reaching high ceilings to remove irritating cobwebs with ease. You’ll even find a range of attachments with this vacuum cleaner, including a crevice nozzle and an upholstery nozzle. The latter is excellent for cleaning sofas, chairs and curtains. 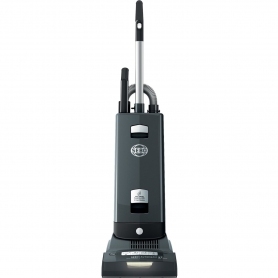 A powerful, 890 watt motor drives the 91503GB, ensuring fantastic results every time you clean. The Sebo brand is known for its reliability and high design standards, so you can be assured your product will work at its best – time and time again. 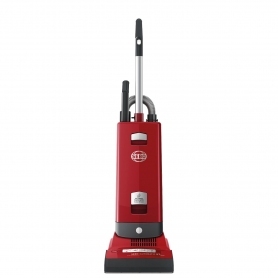 The 91503GB Sebo vacuum cleaner offers great performance and convenience. Put one in your shopping basket today.